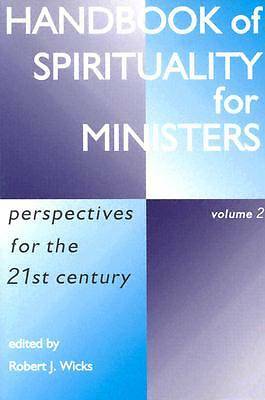 In this second volume of a popular and practical work, distinguished author Robert J. Wicks brings together some of the foremost names in the field to present what they feel are important issues in the area of spirituality at the dawn of the 21st century. Scripture; Darkness and Hope; Spirituality and Wholeness; Spiritual Direction and Mentoring; Prayer; Group/Community/Marital Work; Homiletics, Social Thought and Liturgy; and Ministry. Professionals, or would-be professionals in ministry, will discover knowledge, inspiration and compassion in this work that will be an indispensable addition to their library.